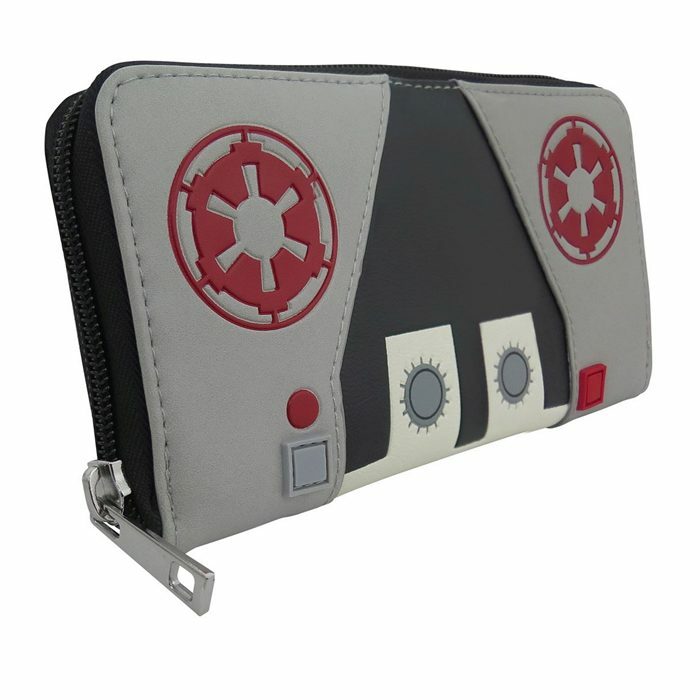 The Bioworld x Star Wars AT-AT Driver wallet is available at SuperHeroStuff. 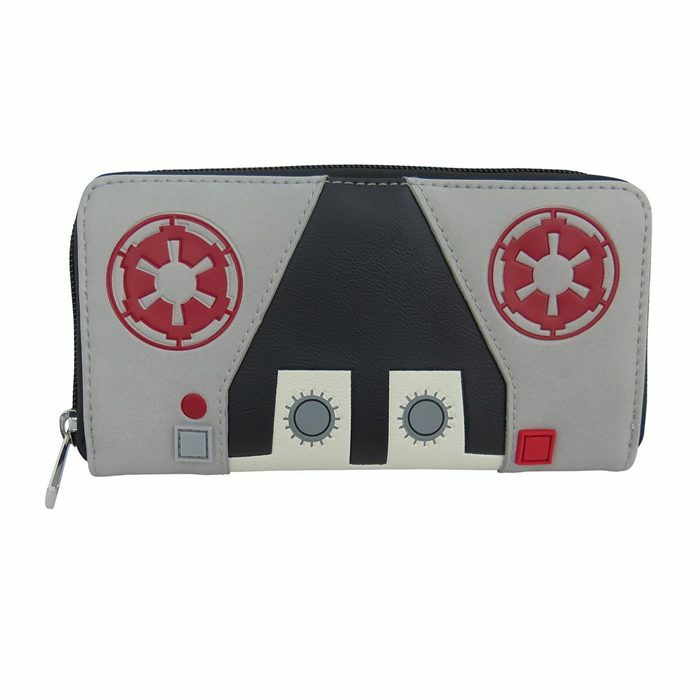 Inspired by the helmets of the AT-AT as seen in The Empire Strikes Back, the women’s zip around style wallet is made from faux leather and features printed and embossed details. 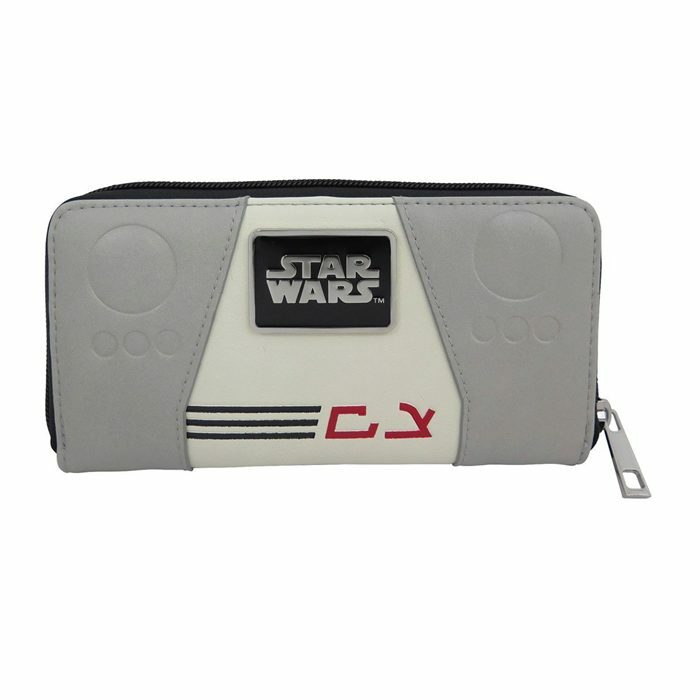 Our Star Wars AT-AT Pilot Women’s Zip Around Wallet celebrates the imposing, protective uniform of the dreaded, highly-skilled AT-AT pilot! It looks just like the AT-AT Pilot uniform with raised, leather-like uniform accents layered with Imperial symbols and simulated, hand-stitched padding. One side features indented diodes flanking a metallic, rectangular badge with raised Star Wars logo. 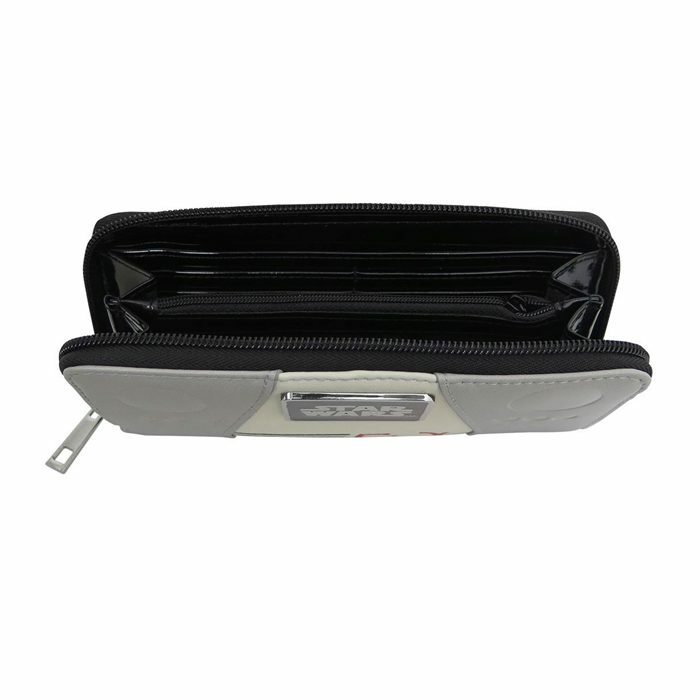 ‘Side 2’ features smaller diodes and stitched control boxes. 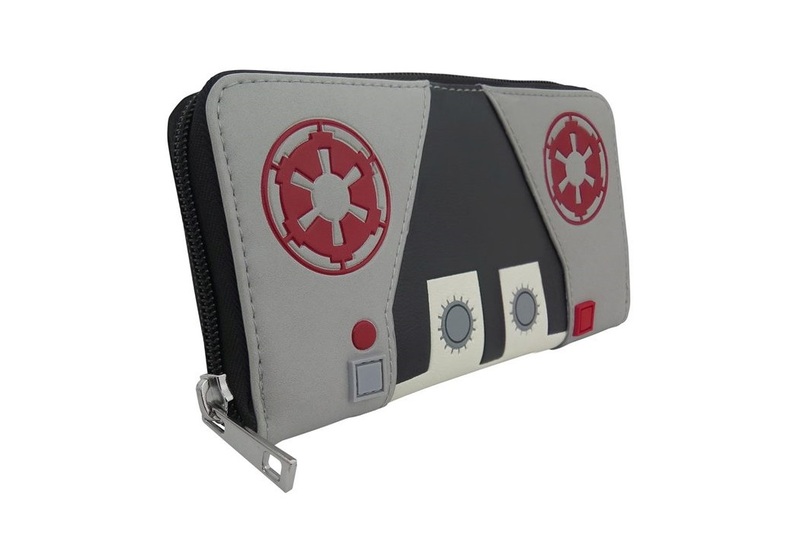 The wallet is priced at US$29.99 each – SuperHeroStuff can ship internationally, which is great.